You might be thinking that lamb and mutton are just different names for the same thing because they are both domestic sheep. While that seems to make sense, it isn't entirely correct. They have distinct differences, mainly in their age. As you probably know, the age of an animal can affect the flavor and how tender the meat is. And that, in turn, affects how you prepare that meat. Lamb is a sheep that is typically less than 1 year old. There is little fat on lamb, and the meat can vary in color from a tender pink to a pale red. Lamb less than 3 months of age is called spring lamb. Spring lamb is extremely tender but has a milder flavor than lamb. Most sheep meat sold in the United States comes from lambs simply because mutton doesn't have much of a following in the U.S.
Mutton is meat from a sheep that is older than 1 year, ideally 3 years old. It is an intense red color and contains a considerable amount of fat. Its flavor is very strong, and you might have to acquire the taste before being able to enjoy a meal of mutton if you're an American. Mutton is much more popular in the Middle East and Europe than in the United States. The gamey flavor of mutton does tend to appeal more to people who also enjoy other game meats such as deer, wild boar, rabbit, and other more exotic animals. Because Americans prefer the more delicate taste of lamb, it is more expensive than mutton but also much easier to find in regular markets. Common cuts in the U.S. are shoulder roast, rack, loin chops, and leg of lamb. It's also important to note that domestic lamb tends to be grain fed, contains more fat, and has a delicate flavor. Imported lamb, typically from Australia or New Zealand, tends to be grass fed, be leaner, and have a stronger flavor. 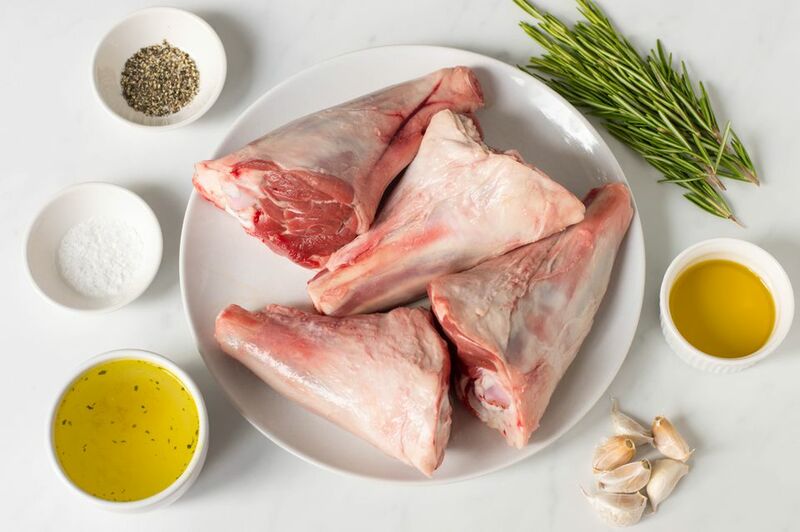 According to the American Lamb Association, the three most common cooking methods for lamb are grilling, braising, and roasting. Grilling (or barbecuing) over hot coals is great for burgers and lamb chops. The lamb association recommends dry brining and salting the meat for about 40 minutes before cooking to help break down the proteins. Braising is where meat is first browned in fat and then cooked slowly in a covered pan with a small amount of liquid. This can be done on the stovetop or in the oven, and this method is best for tougher cuts such as the shoulder. The dry heat of oven roasting is best for more tender cuts like the rack or the leg. The meat is cooked uncovered and produces a brown outside and moist interior. Because mutton is tougher, a slow-cooking method like stew helps to tenderize the meat and bring out the flavor.